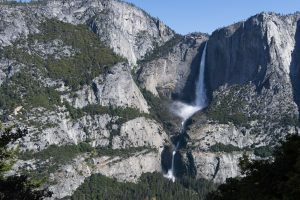 Hike up from the Yosemite Valley floor via the Four Mile Trail to the amazing vantages of Glacier Point, then down via the Panorama Trail for a day full of breathtaking views and waterfalls. Make sure you get an early start on the Four Mile Trail which switchbacks up 3,300ft/990m with increasingly impressive views looking across to Yosemite Falls (see Four Mile Trail). Once at Glacier Point, enjoy the iconic vistas before continuing down the Panorama Trail. Incredible views continue as you descend past three amazing waterfalls and end at the Happy Isles trailhead (see Panorama Trail). 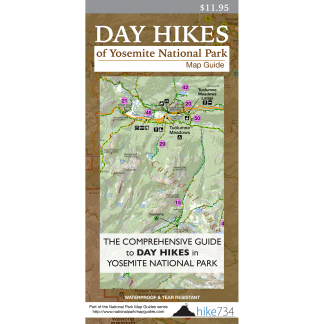 Use the free Yosemite Valley shuttle system to connect the trailheads. Trailhead: The hike begins at the Four Mile Trail trailhead (shuttle stop E7 on the El Capitan route) and ends at the Happy Isles trailhead (Happy Isles/Mist Trail stop #16).